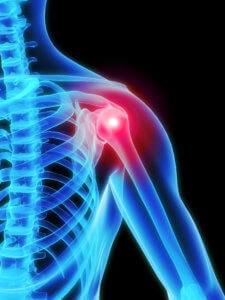 Adhesive capsulitis is stiffness and pain in shoulder joint that begins gradually and worsens over time. No specific cause for frozen shoulder. Increased risk for developing frozen shoulder increases if you injury your shoulder or have procedure (surgery, stroke, mastectomy) that prevents you from moving your arm. Our physical therapy team will evaluate and develop a plan of care to address your individualized symptoms that you may be experiencing. The plan of care may address shoulder range of motion and joint mobility, posture, and pain control. In some cases a corticosteroid or other medical intervention maybe requested by your MD. Call us today for a FREE consultation to see how Rocky Mountain Physical Therapy can help you!